Check me out... Blogging two days on the run! It feels good to be back! So today, I have some nail art for you and some info about an exciting competition that Models Own are currently running. 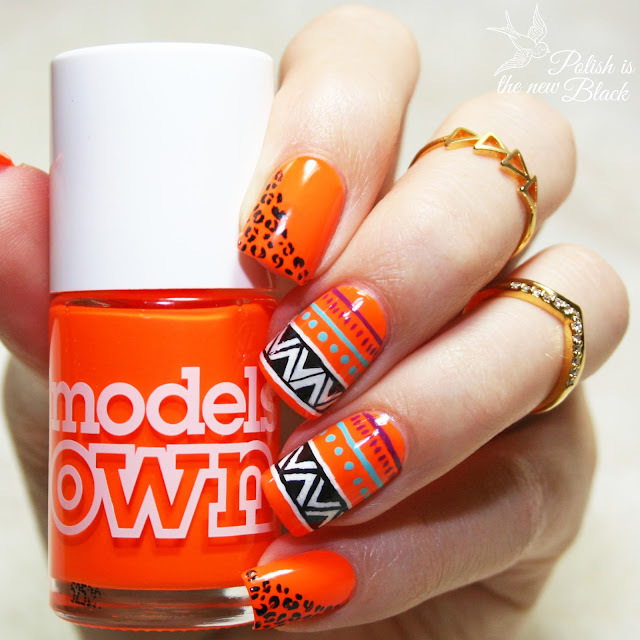 Models Own decided to bring the whole nail art community together by hosting a nail art competition. 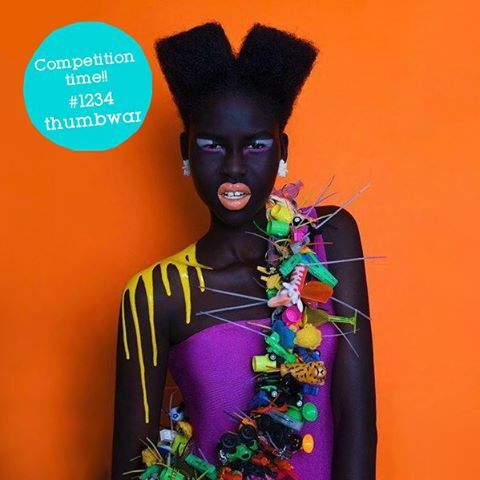 The theme is #1234thumbwar and at 12.34 on a Wednesday every month they will be posting a random image to use as inspiration for your nail art. 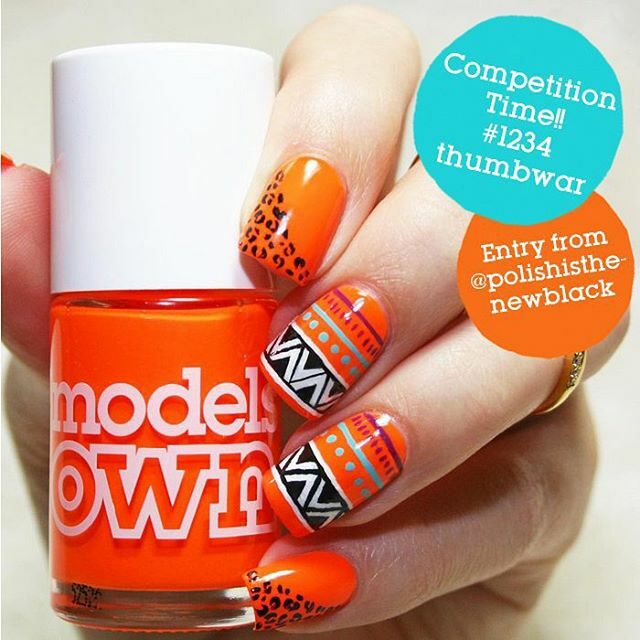 All you have to do, is create a nail art design, using this image as your inspiration and post it to Instagram, using the hashtag #1234thumbwar. The most imaginitive interpretation will win a prize of Models Own goodies worth over £150. You have until the 21st September to enter but of course another image will be posted after this date. So... You may look at this image and find it quite intimidating, but you really can use it as inspiration in any way you want! You might use the colours, some of the items represented in the image, the girl's makeup... anything you want! It really is up to you! I took inspiration from the bright colours, sharp lines and the little toy leopard hanging on the sash. There are endless posibilities of how you could interpret it really. I wanted to go for something very bright and bold. 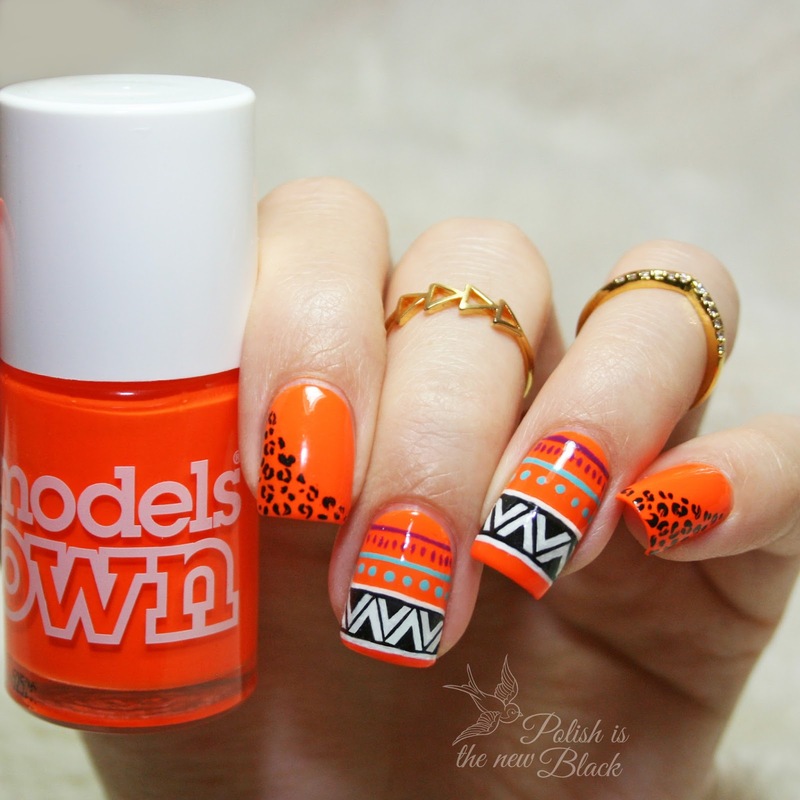 I hope you guys liked my design and remember if you want to take part, just post your mani using the hashtag!